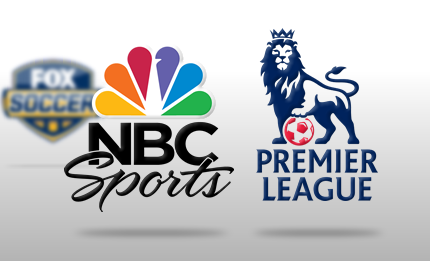 NBC begins it's reign as the US' leading EPL carrier. 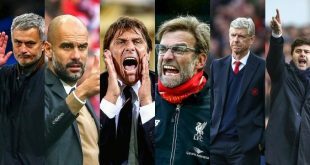 This edition of the Premier League is a bit more anticipated than most for many reasons (Return of Mourinho, departure of Sir Alex, etc. ), but another reason for its anticipation is the strong presence it will carry in the United States this year. Network NBC has taken over the rights to the league from rival Fox and is really upping the ante when it comes to the number of games shown and the quality of the coverage. They have made every single game available (yes, even something like Hull vs. Cardiff is available) and have dedicated Saturday and Sunday mornings to exclusive football coverage as well as afternoons for the midweek fixtures. Best of all though, they are using authentic announcers like Martin Tyler to bring the action to the States, something that will undoubtedly draw more fans to the game. They have also presented the games in a format that is more familiar to the regular American fan with studio shows at the half (something Fox didn’t have), a running ticker with score updates (used during American Football games), and postgame shows that recap each game from that day. In addition to all that, there will also be 1 game each week featured on the main NBC channel so that those without a premium TV package can still enjoy the EPL. NBC has been drumming up all sorts of noise to promote this as well, launching several comical TV adverts about it as well as dividing up the city of New York along different club borders, so that 1 section is Stoke City supporters, 1 section is Everton supporters, and so on. It is a truly marvelous time to be an football fan in the States right now and we are being spoiled by the coverage we are getting. That concludes the first edition of “The Premier League to an American”, next up we will recap the season’s opening week.